Sabrina Koh presents on the presence of stem cells in head and neck squamous cell cancer. 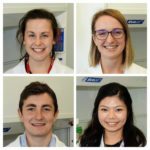 We’re proud to share the experiences of our students and trainees who have recently presented at international conferences. 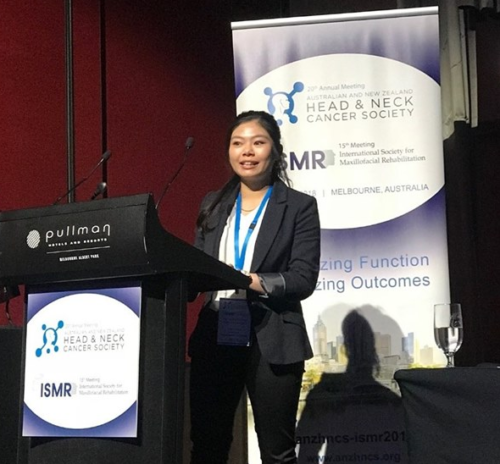 Sabrina Koh, one of our summer students, presented at the Annual Scientific Conference of the Australian and New Zealand Head and Neck Cancer Society and the International Society for Maxillofacial Rehabilitation in Melbourne in August. She spoke about the research she completed at the GMRI that showed the presence of stem cells in head and neck skin squamous cell cancer (HNSSCC). Sabrina’s findings have contributed to our research on how we can more effectively treat HNSSCC, which is the second most common type of skin cancer. Cancer stem cells are believed to be where the cancer originates, and the reason why it can reoccur and spread to other parts of the body. 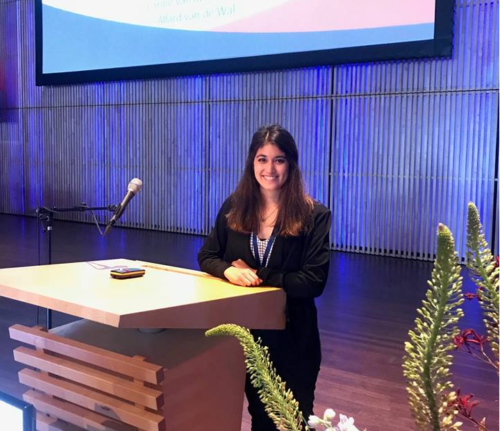 At the end of May, Elysia Tan presented her research on venous malformation at the International Society for the Study of Vascular Anomalies (ISSVA) conference in Amsterdam. Venous malformation is the second most common type of vascular anomalies (or birthmarks). Vascular anomalies are disorders of blood vessel growth that result in disfigurement, a loss of function, and can threaten lives. The GMRI was well-represented at this conference — we presented two papers and two posters. Elysia was delighted that her abstract was chosen from over 450 submissions for oral presentations. 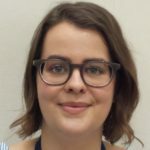 Elysia is studying medicine at the University of Otago and is also one of our summer students. 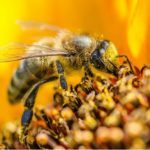 She presented to an audience of 800 specialists — scientists, surgeons, and other healthcare providers who are all united by an interest in vascular anomalies. Elysia’s research at the GMRI is pivotal in understanding how we could treat venous malformation more effectively. For the first time, we’ve identified the possible origin for the disease — a population of embryonic stem cell-like cells. This discovery allows us to better understand how this disease develops. We’ve also shown that these cells may be controlled by the renin-angiotensin system (RAS). Therefore, existing medications that control the RAS, such as β-blockers, could be used to treat this condition. Elysia says it was incredibly inspiring to attend a workshop where hundreds of passionate specialists from all around the world gathered to exchange knowledge on the treatment of patients afflicted with vascular anomalies. 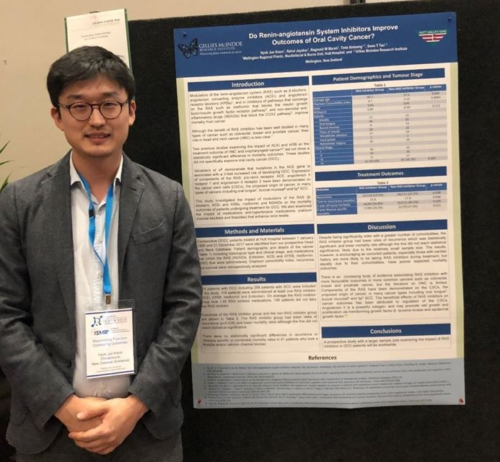 Dr Kwon’s poster summarises the findings of a collaborative project between the GMRI and the Regional Head and Neck and Skull Base Cancer Surgery service based at the Hutt Valley District Health Board. This project further supports the GMRI’s laboratory discovery of the critical role of the renin-angiotensin system in cancer. Dr Kwon and his colleagues’ research on mouth cancer shows that patients have a lower risk of a reoccurrence or dying from the disease after treatment with medications that block the renin-angiotensin system. 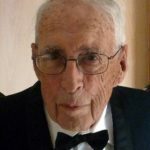 This finding was observed despite the fact that these patients were older and had other associated diseases. The GMRI’s Executive Director, Dr Swee Tan, was invited to speak at the Vision / Future of Keloid Research session of the International Keloid Symposium in Rome in June. His presentation — made on behalf of the GMRI team — was well received by experts from 22 countries. It was titled Embryonic Stem Cell-Like Population within KALTS in Keloid Scar Expresses Components of the Renin-angiotensin System and Cathepsins B, D and G.
Keloid scar is a common type of fibrotic condition where the body reacts to an injury by making scars excessively and continuously. 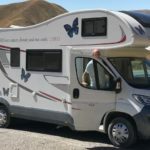 The Founder of the Keloid Research Foundation and Convener of the symposium, Dr Michael Tirgan, welcomed our participation in the search for better treatment of this debilitating condition, for which there is currently no satisfactory treatment. Our research will help treat children with this debilitating condition.